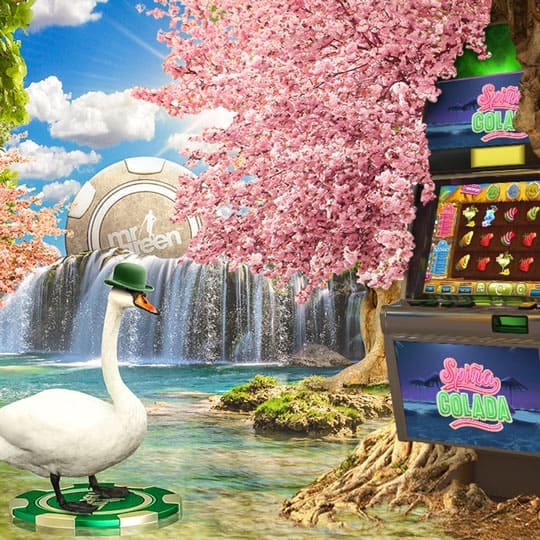 Over a total of 4 weeks you can win bouquets of huge weekly Cash Rewards and blooming marvellous Bonus Spins that all together make up an amazing £100,000! Embrace the unfurling foliage and beautiful colours of spring… especially those of the green variety as cash blossoms fall worth anything from £50 up to a beautiful £1,300! So, how can you catch your share of the cash this week of spring? You simply play any of our 3 chosen games for this week. Every spin you play of £0.75 or more could trigger a random cash blossom to fall into your account. Oh, did I forget to mention that there’s no limit to how many cash blossoms you can collect. It all depends on your next spin, best of luck! 1x Prize: £1,300 | 1x Prize: £750 | 1x Prize: £500 | 1x Prize: £400 | 1x Prize: £300 | 5x Prizes: £200 | 10x Prizes: £150 | 30x Prizes: £100 | 50x Prizes: £75 | 50x Prizes: £50. This week, Mr Green himself is bringing the spring fun. 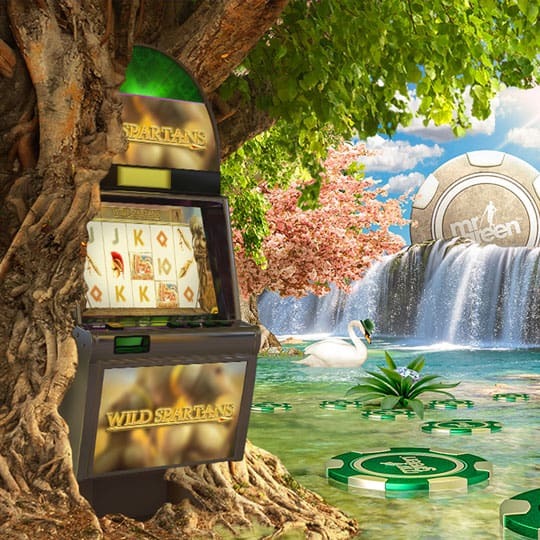 Every day you can release your Lucky Mr Green Bonus Spins and it’s entirely up to you how many you get! So, what do we mean when we say it’s up to you how many you get? Well that’s because you don’t actually collect the Bonus Spins themselves, you collect the ‘time’ to play them. Simply play any of our 4 chosen games for this week and with every 150 spins played in these games (Min £2.00 per spin) you’ll collect 30 seconds of play time. You can collect up to 3 minutes of play time per day on the amazingly entertaining slot game: Lucky Mr Green. Then the question is, how many Bonus Spins can you play during the play time you’ve collected?